It is fitting that music plays a starring role in the celebration of Colorado College professor Michael Grace ’63, M.A. ’64 of the Department of Music. Grace has been a pillar of CC’s academic landscape for over 50 years. 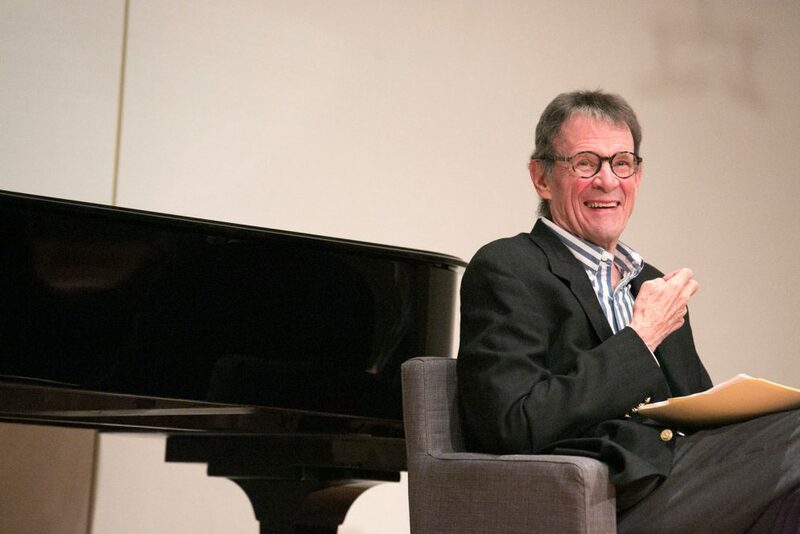 At this year’s Homecoming, Colorado College celebrated Grace’s 50th anniversary of teaching at the college with a concert and panel discussion titled “For the Love of Music” on Saturday, Oct. 14, in Packard Performance Hall. With 50 years of teaching, performing, and scholarship at CC, Grace has graced the college with leadership, a commitment to his craft, and a rich love for music that still resonates today. The Philadelphia native arrived at Colorado College as a student in 1959, keen to pursue his love for music in an academically rigorous setting. Doing just that, Grace earned his B.A. in music in 1963, continuing on at the college for his M.A. in 1964. He joined the college’s faculty in 1967 as an instructor, and held that role until 1971, when he was promoted to an assistant professor of music later that year. In addition to satisfying his teaching commitments, Grace earned his Ph.D. in music history from Yale University in 1974. As a professor of music, Grace’s teaching focuses on music history for CC’s music majors, as well as focused courses on the work of Mozart, American music, 20th-century music, and interdisciplinary courses in Renaissance culture and the history of art and music. As a music historian and researcher, Grace’s work includes investigations into the 17th-century oratorio, performance practices in the Renaissance and, most recently, the relationship between piano music and painting. Michael Grace plays guitar as a CC student. Performance has always played a key role in Grace’s life, and his tenure at CC is no different. 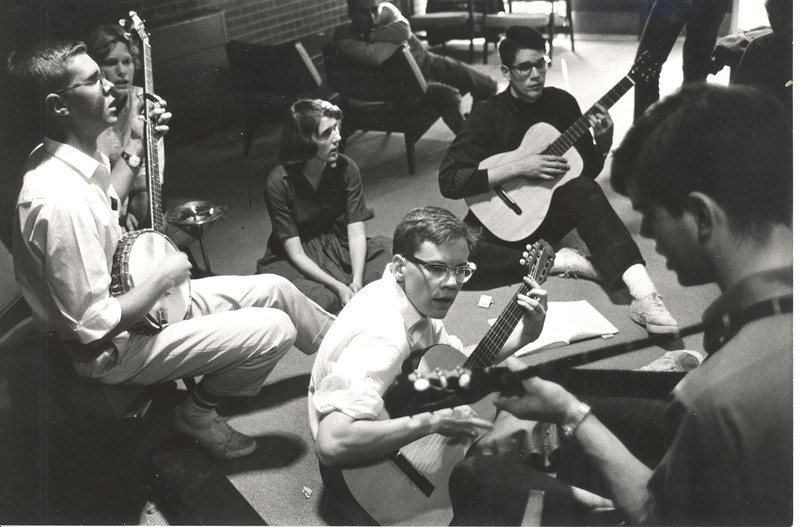 In 1968, Grace founded the Colorado College Collegium Musicum, an ensemble that has performed regularly for nearly five decades. Playing classical and dance music from the Renaissance and later, the Collegium performs on instruments contemporary to the eras being studied. Additionally, under his direction, the Collegium Vocal Ensemble has toured internationally in recent years to Austria, China, the Czech Republic, Germany and Italy, and he has also served as the founding director of CC’s Baroque Chamber Orchestra. Beyond the classroom and stage, service and leadership have been hallmarks of Grace’s career at the college. He has served on numerous committees including the Executive Committee of the Humanities, the Committee on Instruction, the Campus Master Plan Committee, and the Student Development Committee. He has chaired the Department of Music on numerous occasions, as well. In 1987, he was appointed as the dean of the Summer Session, working to broaden the summer curriculum and class offerings until 1992. In 1992, he took up the post of acting president of the college following President Gresham Riley’s departure at the end of the 1991-92 academic year. Working in the role for a full academic year, Grace focused his efforts on fundraising, alumni relations, and growing the caliber and reputation of the college into the new century. When Kathryn Mohrman arrived as president of the college in 1993, Grace returned to his teaching post and the role of department chair. 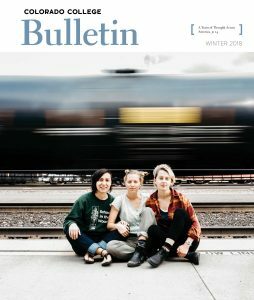 Today, Grace and his wife Susan — a Grammy-nominated pianist as well as lecturer and artist in residence in CC’s Department of Music — are as involved as ever with performance and musical creativity at the college.